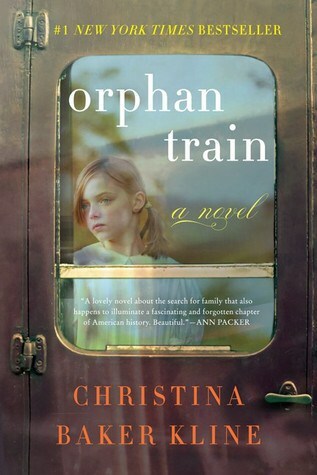 Orphan Train is a captivating story of two very different women who build an unexpected friendship: a 91-year-old woman with a hidden past as an orphan-train rider and the teenage girl whose own troubled adolescence leads her to seek answers to questions no one has ever thought to ask. The story follows two very different characters. Molly is a year old whose father died when she was 8 and whose mother is in and out of jail. She has been hopping from foster family to foster family for the last 9 years and she can’t wait until her 18th birthday when she’ll be free from the craziness. She can’t take the families that keep her for the money and want nothing to do with her. Vivian is 91 years old and lives alone in a big mansion. On the outside it appears she has a wonderful life. She was married for 50+ years, she has an amazing house, money, and someone to help her keep the house. Molly meets Vivian when she goes to her house to help her clean out her attic as part of her community service hours. She has to complete 50 hours from stealing a book from the library. When Molly and Vivian begin going through the boxes it’s clear that Vivian simply wants to reminisce and not really clean anything. Molly finds herself fascinated by Vivian’s story. It turns out the old woman is much more like Molly then she could have ever dreamed. Vivian’s family came to America when she was just a child. When a fire kills her entire family Vivian is left alone. She is quickly sent to a home for orphan’s and begins her journey on the Orphan Train. 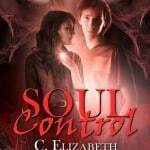 As Vivian goes from city to city she both hopes she will be chosen by a family and fears it. Molly learns that Vivian had her fair share of bad families. The two grow close as they recount the stories of their childhoods and growing up as orphans. It’s an unlikely friendship that blooms into something more as the two grow emotionally attached. This is a beautiful story about a present day orphan and an orphan back in the 1920’s and 1930’s. The similarities and differences are startling. The journey that Molly and Vivian takes together is something that only the two of them could possibly share. 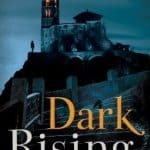 I found Molly to be an intelligent young woman who has a lot of great characteristics but is unfairly judged by many people, including the woman she is living with. She dresses like a Goth but inside there are deep emotions of a trouble teenager. Vivian is lonely and longs for the days when she was happy. Her life started out rough and while she is now comfortable there is still something missing. Can Molly help her find the piece that is missing?